HARTFORD, Conn. - Consumers are facing a deadline to claim refunds from a $158 million federal settlement with Sprint and Verizon over unauthorized charges placed on wireless phone bills. The practice is known as "cramming." U.S. Sen. Richard Blumenthal, D-Conn., a member of the Senate Commerce Committee, said the practice has become widespread and causes substantial financial harm to subscribers. Websites have been set up for Sprint and Verizon customers so they can seek restitution. The deadline to apply for a refund is December 31st. Claims can be made online or mailed. Most consumers were targeted online through ads that once clicked on, brought them to websites asking for their cellphone numbers. Some merchants tricked consumers into providing their numbers to get "free" digital content only to be charged for it, the bureau said. In other cases, merchants fabricated charges without delivering any goods or communication with consumers. The companies received as much as a 40 percent cut of the gross revenue from these charges, which were incurred from about 2004 through 2013, the CFPB said. 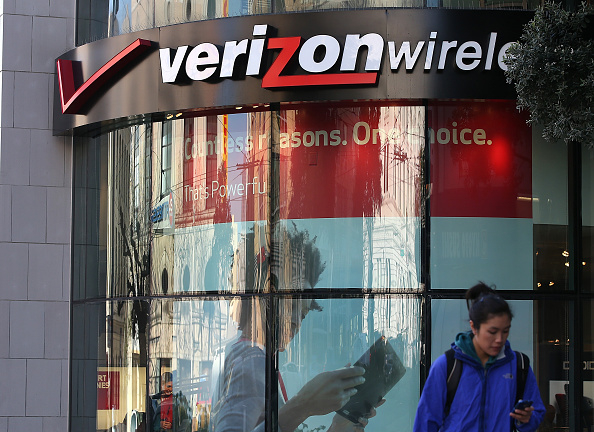 "Well before any government action, Verizon Wireless stopped allowing companies to place charges for premium text message services on customers' bills," spokeswoman Debra Lewis said in a statement. "Customers who believe they were billed improperly for these services may seek a refund." Sprint "returned tens of millions of dollars long before the government initiated its investigation of our industry," the company said in a statement. New York Attorney General Schneiderman announced similar settlements with AT&T (T) in October of 2014 ($105 million) and T-Mobile (TMUS) in December of 2014 ($90 million). Under the refund program to be overseen by the CFPB, Verizon customers can submit claims for refunds at www.CFPBSettlementVerizon.com or ask questions by calling 888-726-7063. Sprint customers can submit claims atwww.SprintRefundPSMS.com or call 877-389-8787.